It was the inaugural Think Tank for Working with Young Men last week, which is an official way of saying that for the first time, some youth workers specialising in engaging boys and young men and I, sat around a table in a fabulous coffee shop and reflected on masculinity and working with boys. We talked about the brutality amongst teenage boys and the hierarchical ways young men interact with one another. The BBC documentary “No More Boys and Girls” led us onto talking about how by seven, boys don’t have a language for any emotion except anger. One boy was filmed being asked to describe “happy” and he answered, “Erm, I don’t know.” Whilst another boy had a huge tantrum when his boasting about his physical strength was not borne out in the task of hitting a fairground high striker. His inability to cope with not winning was echoed by within the Think Tank, with descriptions of how young men would opt out of activities they couldn’t immediately succeed at. 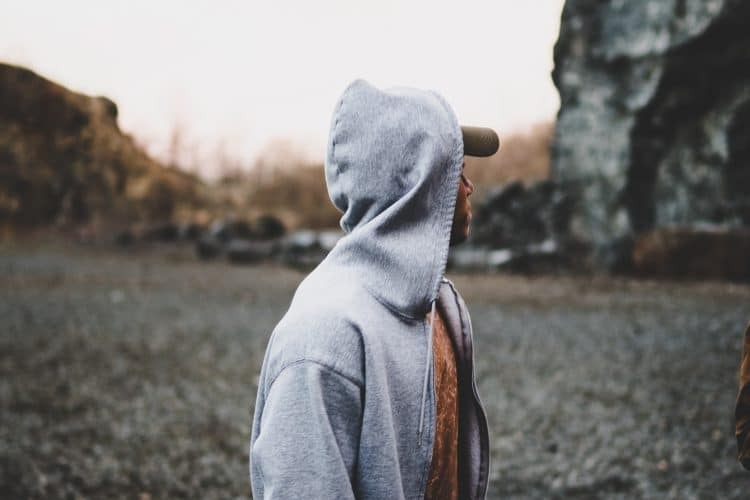 One youth worker spoke about his own challenges of confronting his subconscious need to win, and realising as an adult he had continued to opt out of challenges where he couldn’t be the best. Another theme that came out of the Think Tank was the inherent fragility of masculinity, which is hidden in the cultural coding of masculinity as strength and power. However, this cultural coding is utterly counterproductive, as boys and men avoid situations which will expose any weakness, infallibility or failure. There is therefore little (if any) opportunity to build resilience, competence and the strength to overcome. It is a hollow “strength” if it is based on avoiding any revealing weakness. It isn’t actually strength at all. It is fragility, and it is toxic. If masculinity is defined by a strength that can’t admit weakness or risk failure, then an entire people group (that is 50% of the population) is being socialised into fragility. Not only that, the people group being socialised in this way happens to hold the vast majority of power globally. Such a situation could even lead to world leaders socialised in this way threatening other countries with nuclear annihilation if they don’t do exactly as they’re told. One of the discussions in the Think Tank was about whether it is necessary to maintain strength within our work to address the fragility of masculinity. Should we be framing strength in a new way to get men and boys onboard? As in “It takes a real man to cry” or “Vulnerability is strength”. Or does that just perpetuate the ongoing myth of a strength based masculinity? We didn’t come to any clear conclusions. As Christian youth workers, it is likely that Christian culture has played a significant role in our understanding of masculinity, whether we were raised within it or not. Only today I had a conversation on Twitter with Glen Scrivener about whether masculinity or the mischaracterisation of masculinity is the problem. For him, both “distortion and denial” of masculinity is the problem, whereas I would say that beyond biological function it is very hard to conclusively work out what exactly masculinity is. It would be easy to see the fragility of masculinity as a distortion of the true Godly manhood that God created men with. However, I think it would be valuable to consider whether masculinity is actually a post-fall construction. For some that might seem like a very theoretical and impractical conversation. However, our solutions are likely to be different depending on whether we decide masculinity is God’s good (but distorted) creation which needs redeeming or whether it is a toxic adaptation to the Fall which humanity needs redemption from. And the reality is that there are so many consequences which are hard for men to face. Women are subjected to violence no matter how well they conform to gendered expectations, whereas men are much less likely to face violence if they perform masculinity as they have been told to. Boys and young men have spent their childhoods learning that failure, weakness, crying and any so-called “feminine traits” will result in them being harmed. No wonder they won’t risk failure. However, it is important that we begin to deconstruct this and seek to introduce vulnerability to boys and men. How we do that is surely a few Think Tank meetings away, but at least we’ve started the conversation!